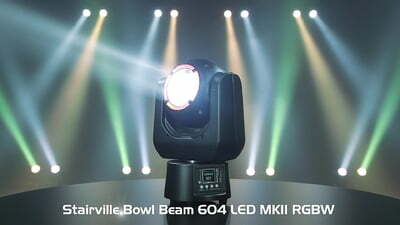 I use the Stairville Bowl Beam 604 LED COB Moving H on small, medium and even in the church. 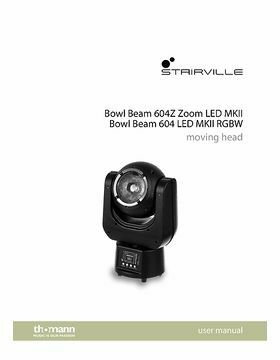 The light output is comparable to other beams pleasantly bright and sufficient for effect light or as a persecutor with soloists. 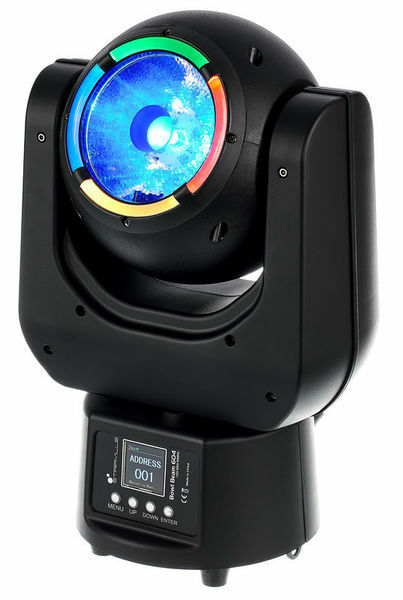 Farbring is only visible with direct visual contact and in darkened rooms. As soon as the Beam is in operation, the Farbring is no longer visible. Operating instructions available in English only! There is a lens included in the scope, but have not yet figured out for what this serves and how to incorporate these cases. The rubberized handles are a good idea, but they look a little inferior to me. The DMX control in the 33Ch mode is somewhat own, but after brief dismantling with the device in operation I was a lot clearer. 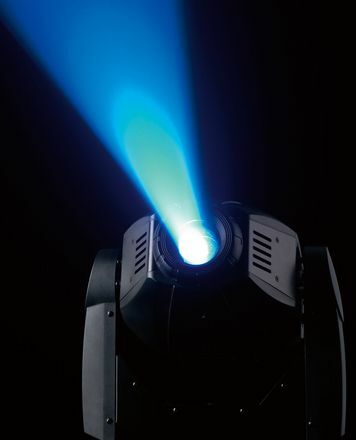 The fact that the "strobe" channel is almost "fully" (100% or DMX value 255) in order to "activate" the light is a big "unusual" feature of this beam moving head. 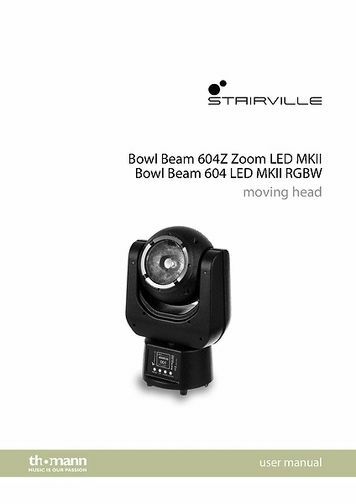 Only dimmer rules brings nothing, it must also the strobo active.  ID: 434927 © 1996–2019 Thomann GmbH Thomann loves you, because you rock!